You’ve decided to make one small change and cut back on sugar. Those who know me will know I’m allergic to high-fives, so instead I offer you a hearty handshake. Well done!!! 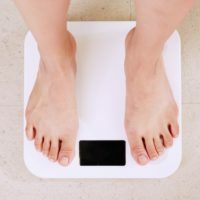 This change is going to have a HUGE impact, particularly if you’ve been eating the ‘average healthy diet’ which packs in roughly 40 tsps of total sugars each and every day. So, you’re ready to start but what’s the best way? How do you cut back on sugar without spending every waking hour in the kitchen ‘cooking from scratch’ or burning a hole in your monthly food allowance? Here’s HOW TO SAFELY QUIT THAT SUGAR HIT. The WHO recommend eating 21tsps a day of ‘total sugars’ – these can be naturally occuring or added in. They’ve also cast a beady eye on ‘added sugars’, recommending an intake of just 12.5tsps. The ‘average healthy diet’ packs in roughly 40 tsps, that’s 195g, of total sugars EACH DAY. Incidentally, 21tsps of total sugars would weigh 90g, whereas 12.5tsps of added sugars weighs 52.5g. You’ll probably have noticed that all the added sugars have been lumped together. (Sorry, I just couldn’t resist). Does this mean you can’t eat any of them? Personally I would rather eat organic, cold pressed honey than high-fructose corn syrup. Coconut sugar instead of cane sugar. A cereal that gets its sweetness from freeze-dried fruit, rather than inverted malt syrup. In your efforts to cut back, I believe there are 2 main aims here. Firstly to choose WHEN you want to eat sweetened foods, rather than have them shoved at you left, right and centre. 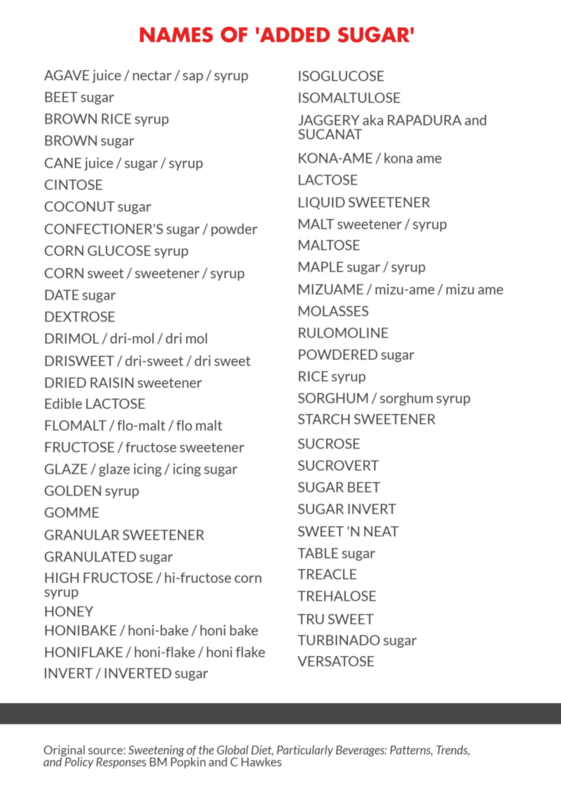 Secondly, to choose the LEAST ARTIFICIAL/PROCESSED SUGARS available to you. 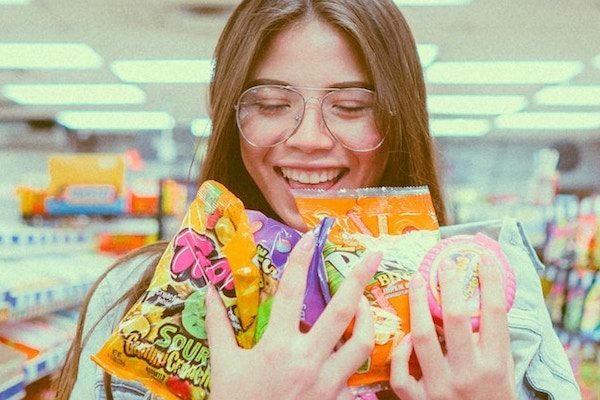 Before we take a look at my ideas to safely quit that sugar hit, let’s take a look at the ‘benefits’ of a high-sugar diet (just in case you’re worried that you’ll be ‘missing out’). 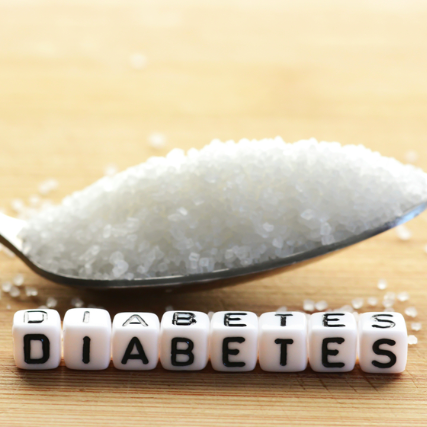 Affecting 1 in 16 of the UK population, type 2 diabetes is a growing concern. Diet has a huge impact. In an analysis of diabetes and foods from 175 countries, researcher Robert Lustig found that the more sugar eaten, the higher the incidence of diabetes. Prevalence increased by 1.1% with each 150kCal increase in sugar consumption. So as populations ate more sugar, the number of people with diabetes increased. More importantly, as sugar intake dropped, so did diabetes. It’s reassuring to know that dietary changes do make a difference! 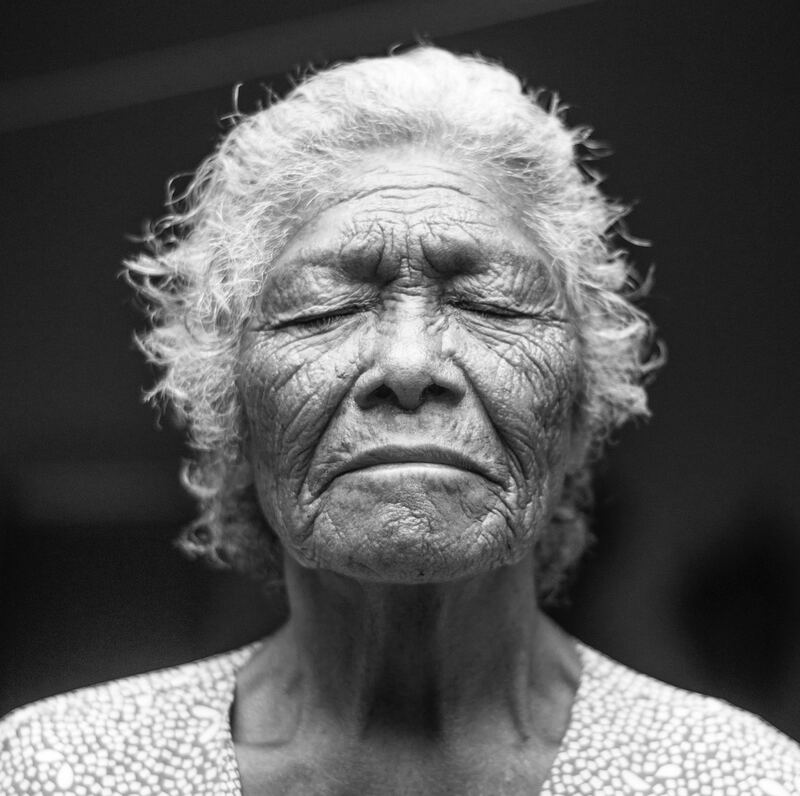 Mature skin naturally declares the passage of time. However, high sugar diets actually accelerate the aging process, because they promote the formation of advanced glycation end-products (AGEs). These sugary handcuffs bind to the collagen and elastin proteins in the skin, limiting their stretching and structural capabilities. This causes skin to prematurely sag and wrinkle. This is the fun part, where you literally get to play with your food. Your aim is to get the majority of added sugar, and some of the total sugar, out of your diet, but still maintain the taste and enjoyment you get from sharing meals and nurturing yourself. Let’s tuck in.